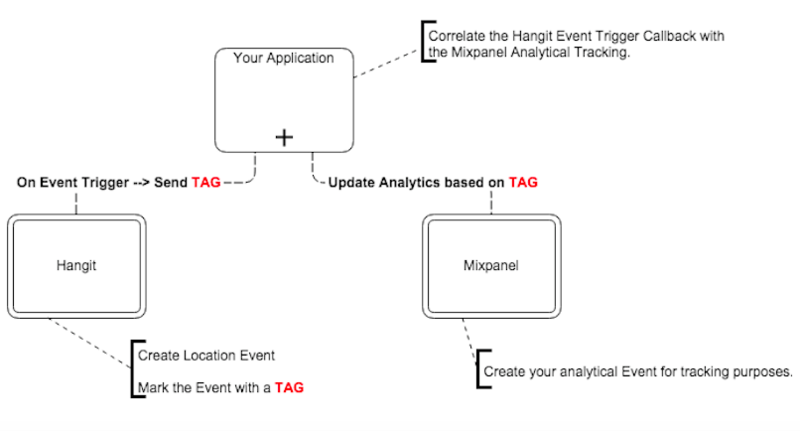 TL;DR: Use HangIt location tags to trigger Mixpanel notifications. HangIt will include the tags as part of the object in the callback. 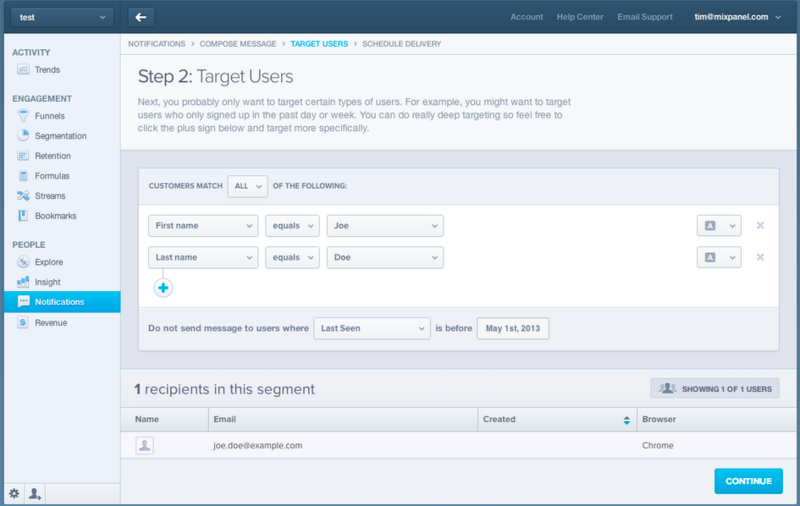 Your application can then append these tags to the Mixpanel user profile for targeting. See Prerequisites below. STEP 1. Tag your locations with HangIt’s Campaign Portal or API. Tags will be sent back to your application as part of the object in the callback. STEP 2. Append HangIt’s location tags to the Mixpanel user profile. For example, if you’re using Mixpanel’s iOS library you’d call people append: or people set:to: to do this. STEP 3. Include location tags as criteria when you target users for a Mixpanel push or in-app notification. You’ve added the HangIt SDK Framework files to your project, and you’ve added an Observer to your class that will monitor for location updates received in the Hangit SDK.